In a buzzing city built on hills, you’ll need a good caffeine kick to keep you well-fueled for exploring. Lucky for you, Amman’s café culture is alive and well. This list will lead you to some of the best spots in Jordan’s capital city to tip back a tasty cup of coffee—with epic views, free wifi, and more. 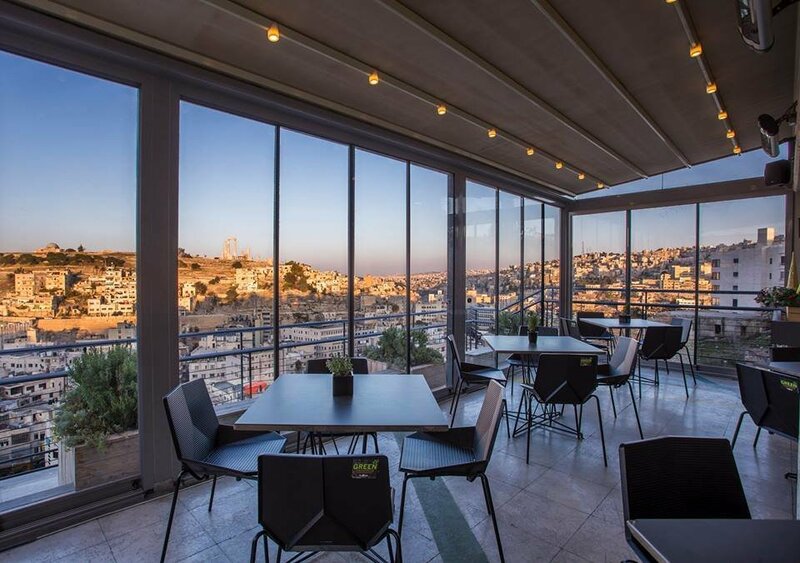 The scene from the Wild Jordan Center café is so spectacular, it’s simply (and suitably) known as “The View.” Enjoy panoramic vistas of the old city and the ancient ruins of Citadel Hill from this multi-level perch in Jabal Amman while you sip on specialty coffee drinks, smoothies made with locally-sourced produce, and reserve teas. The Wild Jordan Center is family-friendly, so feel free to bring the kids along. Walking distance from Wild Jordan, books@café also serves up an incredible view and casual vibe with your cup of joe. But what makes this place extra special is the concept: book@café is the first of its kind in Jordan—a café with a bookshop—that welcomes people from all walks of life to come to eat, drink, and interact with each other to create more understanding and peace. Over the years, it’s become a popular spot for the LGBTQ+ crowd to congregate. Some say ‘tis better to give than receive. You can do both—get your caffeine fix and give back to the local community—at Jungle Fever, housed within the National Gallery of Fine Arts in Jabal Weibdeh and Seven Pennies at Seventh Circle. Seven Pennies donates seven pennies of every dollar you spend to the Jordan River Foundation to help fight the abuse of women and children. At Jungle Fever, your money supports local small-business producers of Dimitri’s coffee, Turtle Green tea, and snacks available on site while also helping to employ the local youth trained to work there. Caffé Strada's European-inspired, clean design combined with lots of natural light, free wifi, and a wide selection of teas, coffees, and refreshing beverages served in two indoor spaces and in internal courtyard make it a favorite for locals and visitors alike. 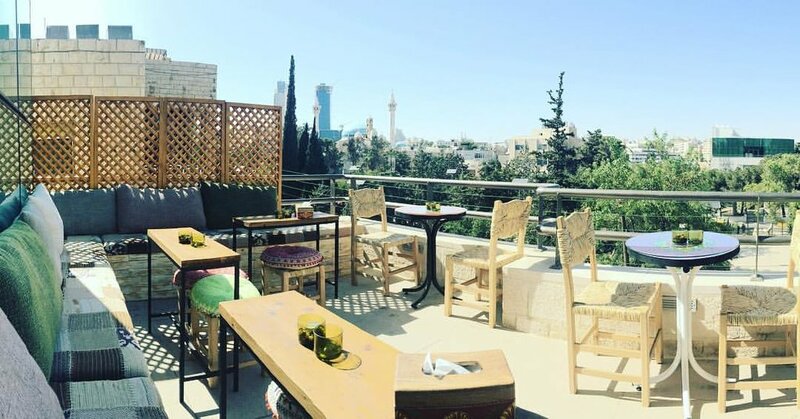 It’s located just 100 steps from Rainbow Street and, unlike much of Amman, Caffé Strada is smoke-free, so it’s also a fresh air haven for those seeking to enjoy their coffee without cigarettes or shisha. A stone’s throw from Caffé Strada you’ll find two-level tea and coffee house Turtle Green, offering locally sourced, unique blends and brews in a cute and casual setting. Locally-made products, such as jams, labneh (an extra-thick, tangy yogurt), and ceramics are also available for purchase. Keep in mind that while this small space is cozy and welcoming, it can get quite smoky. You'll be pleasantly surprised by the proliferation of free wifi in Amman's newer cafés, and open laptops are a common and acceptable sight. 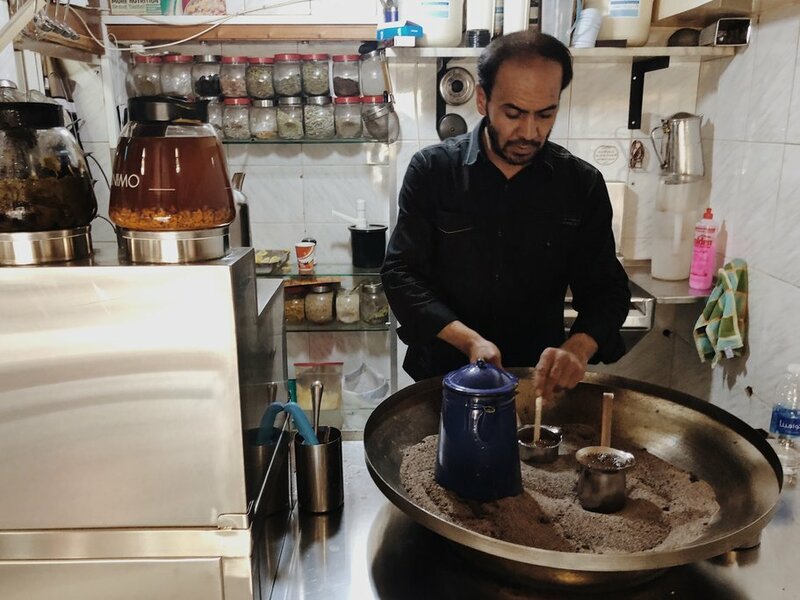 For reliable internet and a very legit pourover, head to Amman-based coffeehouse chain Dimitri's—the first local coffee roaster in Jordan. Their brick and mortar at The Boulevard, a new, upscale shopping promenade in chic Abdali, has big windows, power outlets, and a decent amount of seating. And when you're done typing for the day, you can make the short walk to nearby wine bar JR The Wine Experience to sample Jordan's native varietals. 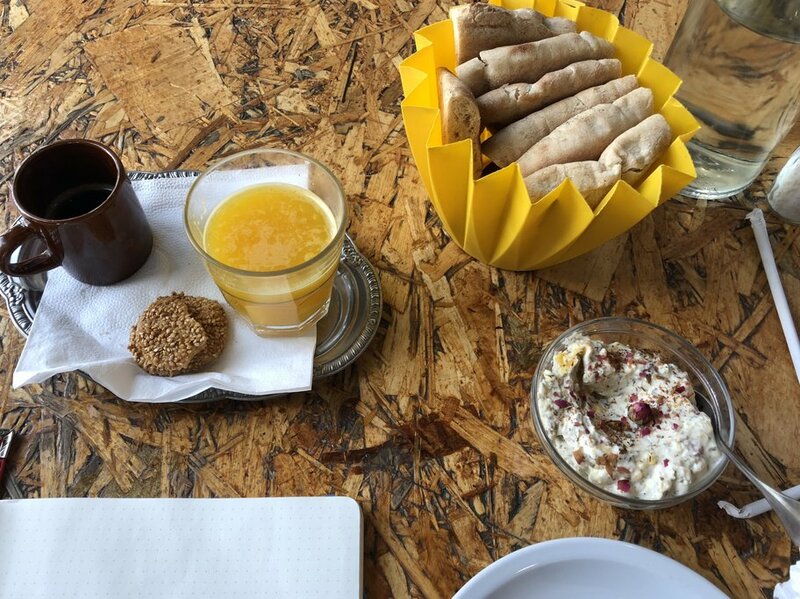 Another great pick for working online is Shams al Balad at the First Circle, a breezy two-story café with friendly staff, a sunny patio, and an excellent farm-to-table menu (it's one of Amman's best brunch spots, no question). While they don't advertise their free wifi, servers are more than happy to share the password, and there's truly not a bad seat in the house. Come early on a weekend to have the quiet indoor space to yourself, order the apricot and rose labneh and a cup of Yemeni coffee, and get to work. Social butterflies flock to Rumi Café, a bright and buzzing café in Weibdeh. Coffee and tea lovers come for the drinks and stay for the scene, as this hotspot is located on a busy corner in the center of the neighborhood, with floor to ceiling windows and outdoor seating—perfect for people watching. 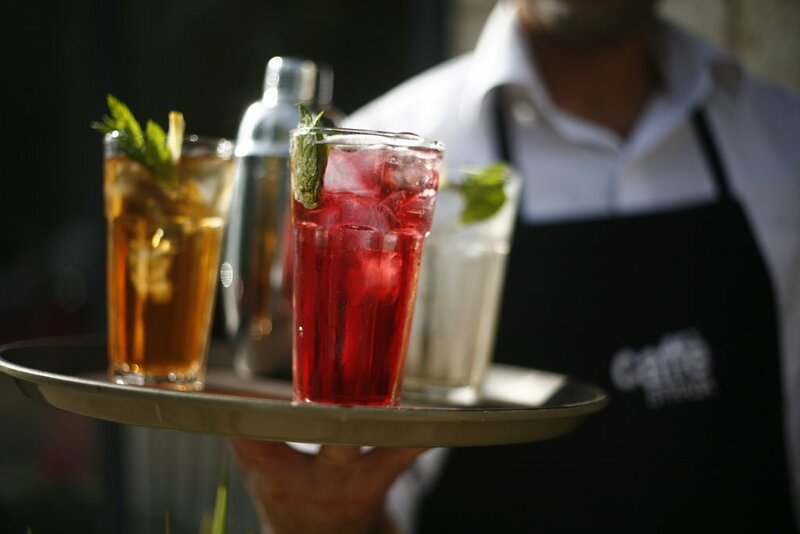 You’ll find an equally lively but perhaps lesser-known-to-visitors scene at Ropes Restaurant and Café in Khalda. This two-level space serves up an array of beverages and a full menu of local and international flavors, including salads, pizzas, and even pancakes. It’s a welcoming place with a youthful vibe where you can feel comfortable to kick back, smoke shisha, and mingle amongst locals. 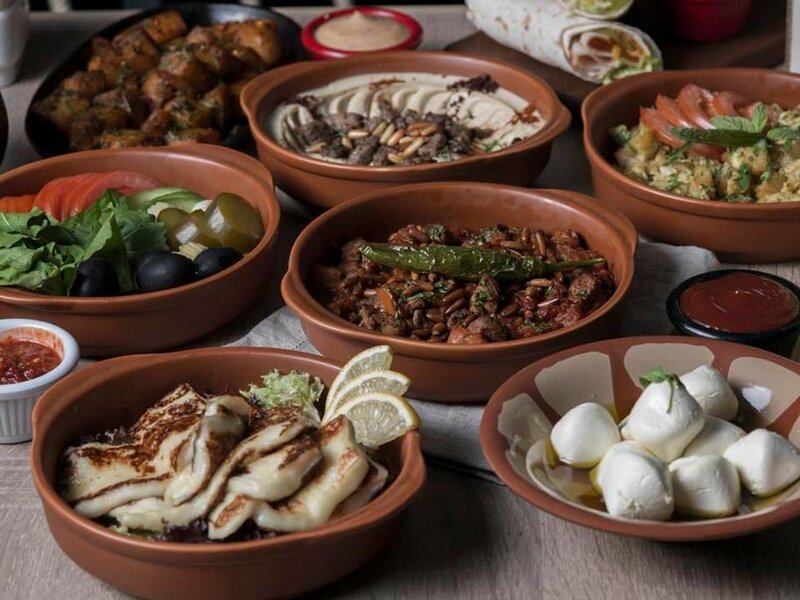 While you’re exploring downtown Amman, be sure to include Jafra on your itinerary. 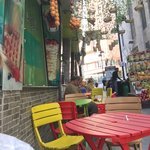 This charming restaurant and café offers authentic Turkish coffee and argeeleh (shisha) as well as a local mezzes and fresh bread. There is often live music in the evenings, so be sure to arrive early or call ahead to reserve a table. 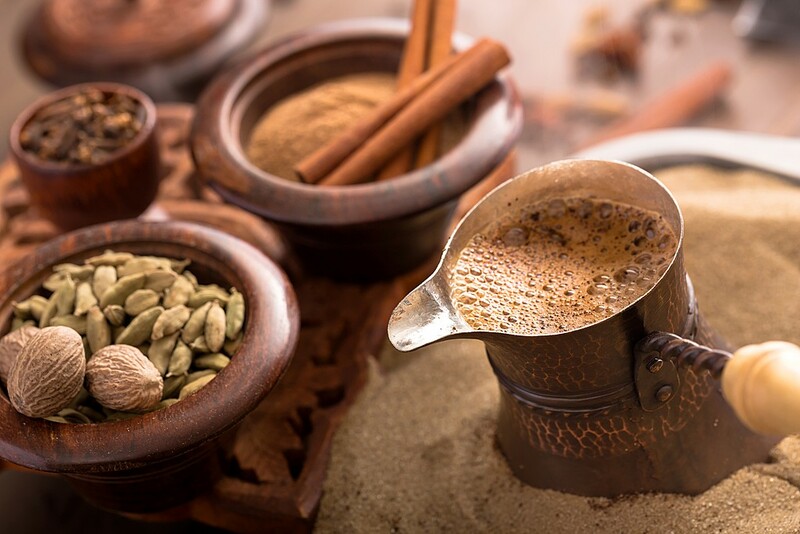 If you aren’t searching for it, Ayman Coffee Shop is easy to miss. Tucked away on a side street in Jabal Amman, this is not the kind of café you go to lounge or mingle; it’s the kind of place you pick up one of the best “Turkish Sand Coffees” in the capital and admire the traditional and somewhat hypnotizing technique of heating the water in a cezve (a small, long-handled pot) placed in hot sand. While you're there, ask for a soothing "herbal" made from hot water, honey, and lemon as well. How Many Days Should You Spend in Jordan?